The candidate must have passed in 10+2 pattern from Maharashtra State Board of Higher Secondary Education or an equivalent Examination with minimum 50% marks in Physics, Chemistry, Biology, and English together for open category. The candidate must have obtained 40% marks in above subjects in case of reserved category candidate. 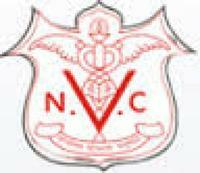 What's the admission procedure for B.V.Sc in Nagpur Veterinary College, [NVC] Nagpur? (1) XII Std. Passed in 10+2 pattern from Maharashtra State Board of Higher Secondary Education or an equivalent Examination with minimum 50% marks in Physics, Chemistry, Biology and English together for open category and 40% marks in above subjects in case of reserved category candidate. (2) The admission of candidate to B.V.Sc. & A.H. degree course shall be made on the basis of his / her merit in the Competitive Entrance Examination (MHTCET-2012) conducted by Directorate Medical Education & Research, Mumbai. The above conditions shall be applicable to Goa, J & K and OS candidate. i) Provisional merit list will be displayed on the notice board of the constituent colleges and University website www.mafsu.in as per the admission programme. The Associate Dean, Post Graduate Institute of Veterinary & Animal Sciences, Akola- 444 004. What is the Admission Process for B.VSc Course in Nagpur Veterinary College, Nagpur? Directorate Medical Education & Research, Mumbai. The above conditions shall be applicable to Goa, J & K and OS candidate. equivalent there to by the Association of Indian Universities or by the appropriate authorities. and University website www.mafsu.in as per the admission programme.